Baker Sanctuary is a 715-acre preserve for Golden-cheeked Warblers, an endangered species that only nests and breeds in Central Texas. Baker is open to Travis Audubon members and their guests from dawn to dusk with the exception of the hunting season. Baker Sanctuary is located on Lime Creek Road in northern Travis County. Chaetura Canyon is a small green island of protected natural habitat surrounded by rapidly developing Texas Hill Country in northwest Austin. Though home to over 30 nesting bird species, this sanctuary is dedicated to the research and conservation of Chimney Swifts. Chaetura Canyon is open to Travis Audubon members and their guests for special events. 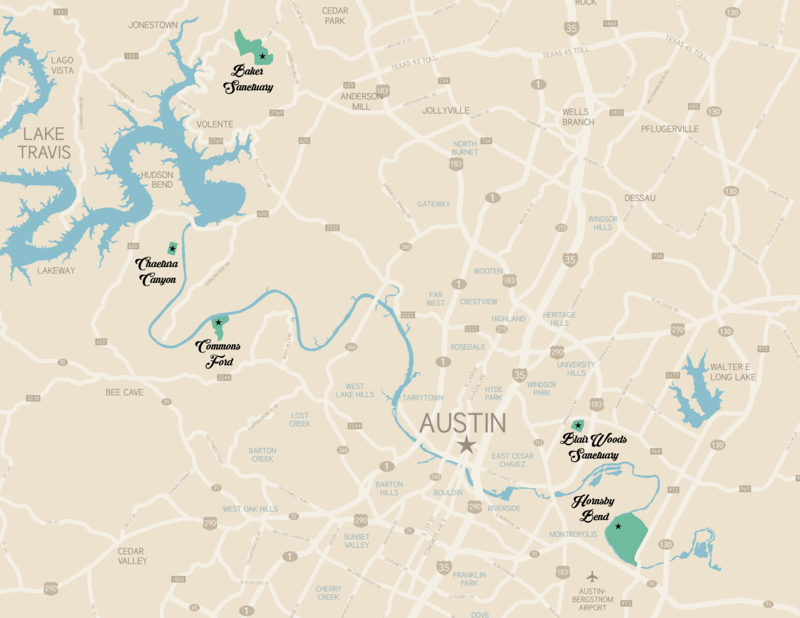 Blair Woods is a 10-acre wooded tract in East Austin. Gifted to Travis Audubon by former owner and noted UT professor Dr. Frank Blair, it functions as a ‘living lab’ for underserved children in the Austin area in addition to providing important native habitat to local wildlife. Blair Woods is undergoing restoration. Commons Ford Metropolitan Park supports an amazing diversity of wildlife and grassland birds. The 40-acre prairie, co-managed by the City of Austin and Travis Audubon, explodes in color in the spring and early summer. Throughout the year, it is teeming with hundreds of species of birds, butterflies, insects, and other wildlife. The park is open every day of the week from 5AM-10PM and is located at 614 North Commons Ford Road. Where to Find us in Austin! 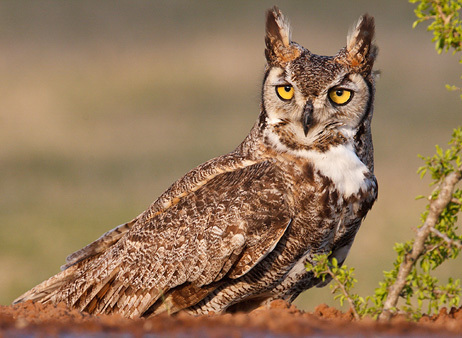 Become a Travis Audubon member to enjoy access to these sanctuaries! 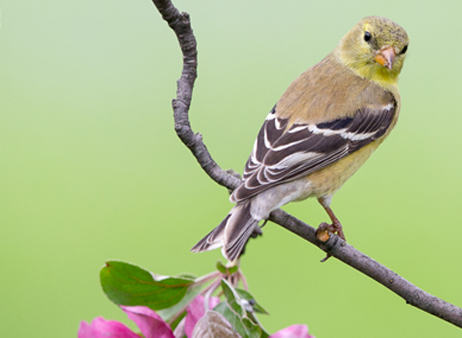 Supporting Travis Audubon gives you a voice for conservation, education, & advocacy. Your Membership contribution will make you a partner in Travis Audubon’s mission to promote the enjoyment, understanding and conservation of native birds & their habitats. 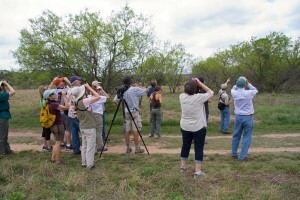 Sign up for the Travis Audubon Newsletter!